This home actually has 3144 SF, 2635 sf ON MAIN LEVEL and 509 sf UPSTAIRS BONUS ROOM. Extras with this home include 24x36 WORKSHOP, 16X32 VINYL LINED IN-GROUND POOL, free-standing STORM CELLAR in garage area, TIKI HUT, FIREPIT, KOI POND. This is a one-owner custom built home designed and built by the builder for his own personal home, so is loaded with many extras not found in most homes. Niches for decorations in the hall and living room, 2 fireplaces, one in the living room, and 1 in the room connected to the master bedrooms as a study or sitting area. Home has hand-scraped hardwood floors in the living room, and the sitting room, and custom stained concrete flooring in the other areas for easy care maintenance. Dishwasher, microwave and roof are only 3 years old. 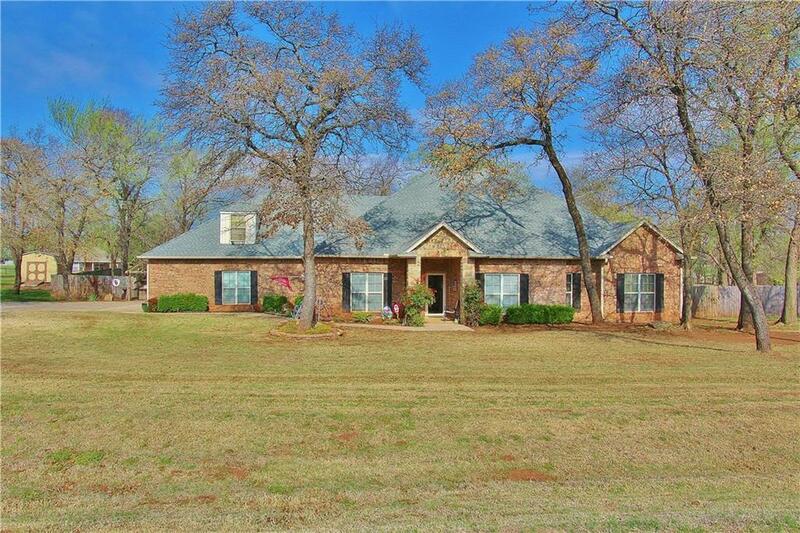 Large mature trees on this property, fenced back yard for your family and pets. This is a MUST SEE if you are looking for a home that all your family will enjoy.